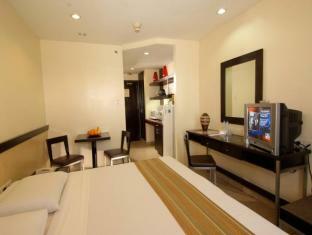 The Golden Prince Hotel is perfectly located for both business and leisure guests to Cebu. All hotel's guestrooms have all the conveniences expected in a hotel in its class to suit guests' utmost comforts. The guestrooms are equipped with air conditioning, internet access (wireless), television, shower, mini bar. To suit guests' convenience, this Cebu accommodation offers 24hr room service, elevator, coffee shop, laundry service/dry cleaning, meeting facilities, safety deposit boxes, hotel/airport transfer, business center. The Golden Prince Hotel & Suites offers massage to provide extra pleasure and relaxation for all guests. Modern comfort and convenience are seamlessly combined to ensure the guests' satisfaction. These top-class facilities are complemented to excellent services to meet the needs of visitors to Cebu. For your reservation at the Golden Prince Hotel Cebu, please choose your period of stay and fill out our secure online reservation form.